Diageo chief executive Ivan Menezes has said alcohol companies must "fight for their right" to tackle irresponsible drinking in the face of "negative sentiment from NGOs and governments." NEW YORK: Diageo chief executive Ivan Menezes has said alcohol companies must "fight for their right" to tackle irresponsible drinking in the face of "negative sentiment from NGOs and governments." Menezes, who took over the company that owns brands such as Smirnoff, Johnnie Walker, and Guinness last July, said he was "shocked" by drunkenness he observed in London. 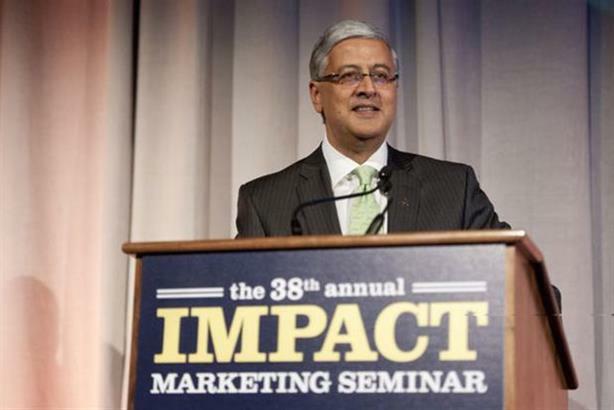 In a bullish speech last week to the Impact Marketing Seminar in New York City, Menezes said Diageo’s commitment to commercial success was matched by its "commitment to preventing misuse of alcohol and tackling irresponsible consumption of our products." He noted that "some of our consumers misuse alcohol, that this is a real problem and needs to be tackled." "One of the first things I did when I moved to the UK to take up my post as CEO of Diageo was to go on a nighttime visit with police to look at the challenges of irresponsible drinking in two different communities in London -- drunken and sometimes rowdy behavior on the streets," he said. "Some of what I saw shocked me." Menezes acknowledged that efforts by alcohol companies to engage with drinking regulations were not always welcome. To illustrate his point, he cited the views of Margaret Chan, the director general of the World Health Organization, who believes industry involvement in regulation means the most effective measures are "downplayed or left out entirely." "We know that we face sentiment at the WHO secretariat, among some NGOs, and in some governments that is negative," Menezes explained. "So it is the right thing for us to do more, to engage positively and constructively in the debate, and to step up with more meaningful solutions." He said that while "some public health groups argue that our point of view should not be heard, that we should not be allowed to market our products, that our responsible drinking programs are mere window dressing…the industry must have a seat at the table." "We have valuable expertise and a legitimate point of view and need to fight for our right to participate," Menezes added.